Wild specimens exported from Colombia. Specimen collected in northeastern Peru. 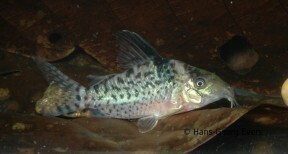 Specimen from the Danish aquarium trade which has tentatively been identified as C. cf. delphax. delphax: from the Ancient Greek delphax, meaning ‘a little pig, piglet’. Has been recorded from the Río Inírida and other parts of the upper Orinoco basins in western Colombia and apparently northeastern Peru. Type locality is ‘Guainía, River Inírida system, Caño Bacón, Pueblo Bretania, 3°43’N, 67°59’W, Colombia’. Minimum base dimensi0ns of 90 ∗ 30 cm are recommended. Females tend to grow larger, and sexually mature individuals are noticeably rounder and higher-bodied than males. 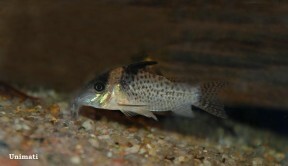 Eggs may be deposited on the aquarium glass, among fine-leaved vegetation or within sunken spawning mops, with the latter particularly recommended since they facilitate easy removal of eggs. Once spawning is complete either adults or eggs should be removed; the latter can usually be rolled gently up the glass with a finger. The new container should contain the same water as the spawning tank and be similarly well-oxygenated. Most breeders add a few drops of methylene blue, or an alder cone or two at this point in order to prevent the eggs developing fungus. They are not the easiest to raise, requiring excellent water quality, but seem less susceptible to ailments when maintained over a thin layer of sand rather than in a bare-bottomed arrangement. 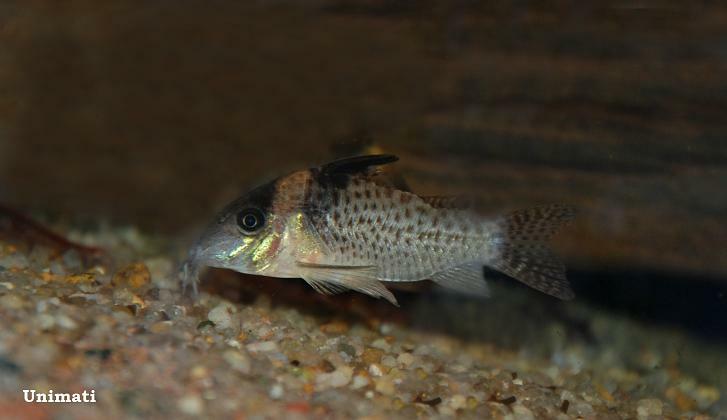 This species’ name is used quite frequently in the aquarium trade although this sometimes represent misidentification of similar-looking congeners, while C. delphax itself is often traded as C. punctatus or other similar-looking congener of which there are several. Unfortunately, precise diagnostic characters cannot currently be provided since we’ve been unable to obtain the type description, and little has been written about this species since it was published. Characters said to separate it from species such as C. ambiacus, C. agassizii, C. brevirostris, C. ephippifer, and C. melanistius include a combination of relatively elongated snout, dark spots on body fading in adults, dark anterior dorsal-fin patch extending to upper extremity of fin, and presence of spots in the caudal-fin. 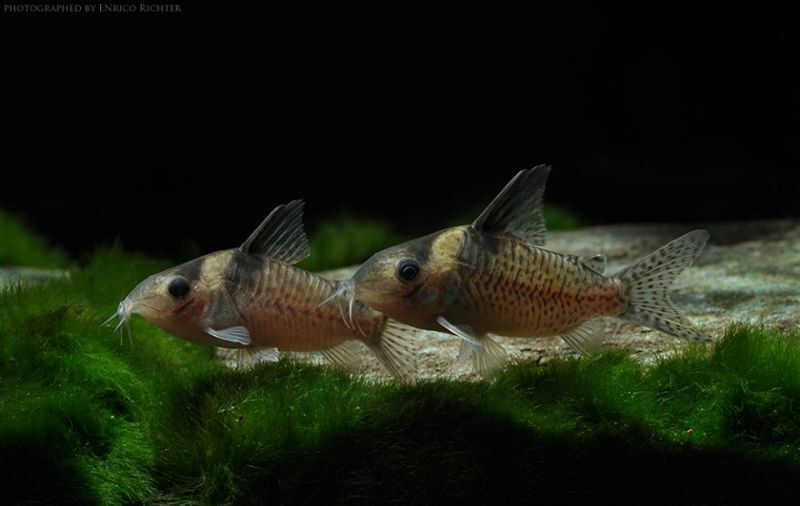 The genus Corydoras is included in the family Callichthyidae, of which members are often referred to collectively as ‘armoured’ or ‘mailed’ catfishes group due to the presence of bony plates in place of scales on the body. Review of the genus Corydoras from Colombia, with descriptions of two new species (Pisces, Siluriformes, Callichthyidae).